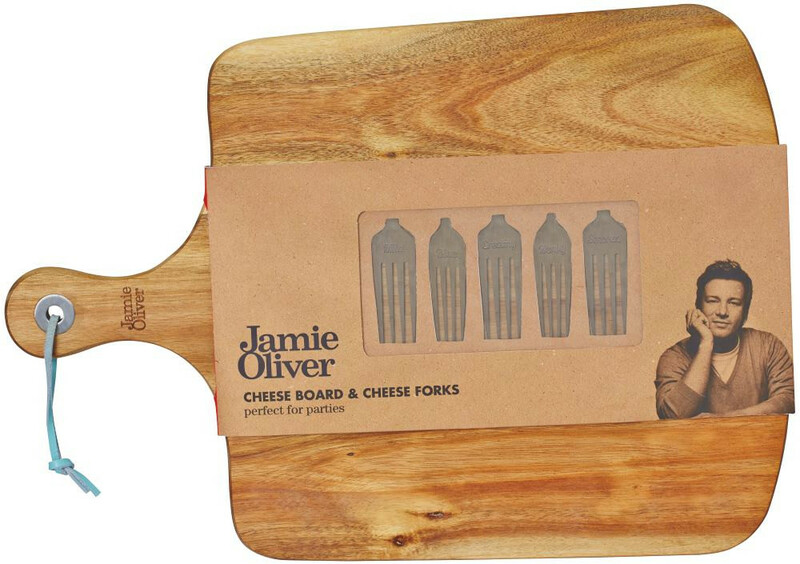 The Jamie Oliver Cheese Board with Fork Markers is perfect for stylish serving of your cheese platters, ideal for parties. Made of beautiful acacia wood with 5 cheese markers. 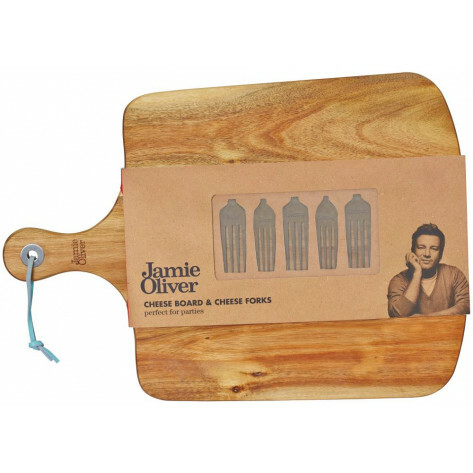 Jamie Oliver products are both practical and stylish.